OAKLAND, Calif. -- Al Attles made all eight of his field-goal tries for 17 points for the Philadelphia Warriors during Wilt Chamberlain’s 100-point game on March 2, 1962. Attles coached Rick Barry the day he scored 64 against Portland on March 26, 1974. 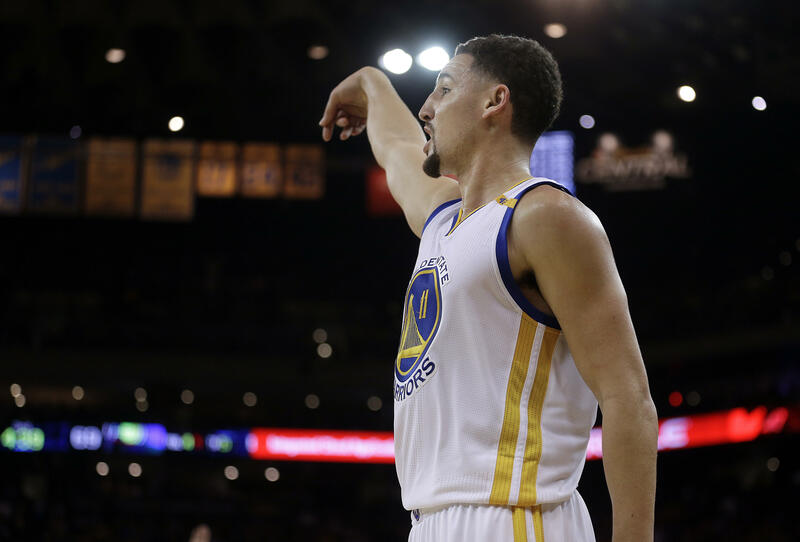 He watched with a smile high above the Oracle Arena floor on Monday night as Klay Thompson scored an NBA season-high and career-best 60 points in three quarters for the Golden State Warriors in a 142-106 win against Indiana - the highest Warriors scoring performance since Barry’s. CBSSports.com adds that Thompson also became the first player since the NBA implemented the shot clock to top 50 points in less than 30 minutes. Not that you will ever find Attles playing favorites when it comes to special games by individual players. Don’t even try. He coached the Warriors to their first championship since moving West in 1975, then Golden State won again 40 years later in 2015. Attles joked he passed to Chamberlain for all those points. He actually had six assists, while Guy Rodgers had 20 of the team’s 39 overall in the 169-147 win against the Knicks at Hershey, Pennsylvania. While Attles - who is in his 57th year with the Warriors and recently celebrated his 80th birthday with extra-large cupcakes at Oracle - was close with Chamberlain, when people ask about the 100-point performance, he still keeps it separate from other sensational showings like the onslaught by Thompson in just 29 minutes and three quarters against the Pacers. “Because I played with Wilt, people always ask, ‘What do you think about Wilt scoring 100 points?’ I say, ‘Give him credit for what he did then,’” said Attles, now a community ambassador for the franchise in regular attendance at games.